We have reviewed, rated and compared Daikin air conditioners so you can buy with confidence. These AC’s are not for suitable for everyone so check to see if they fit your needs! Every manufacturer offers a range of options when it comes to air conditioners. With the different series and a large number of units, they try to cater to as much of the market as they can regardless of the users’ preferences. Whether you’re interested in efficiency or affordability, you are sure to find a unit that fulfills all your needs. However, when you are looking for something specific, such as a sleek design, blended into affordable initial pricing and running costs, durability, and reliability – you need to get brand specific. In this review, we have put together a number of factors that you need to keep in mind before spending your hard-earned money. Only then, you can determine whether the air conditioning unit in question is the best fit for you or not. One brand that stands out among the crowd, with one of the highest SEER units in the market is Daikin, a Japanese multinational company with more than 70,000 employees worldwide! While the brand’s average SEER is a mere 16.68, it’s most elite unit offers a SEER of 24.5; one of the highest in the market! This means that Daikin air conditioners perform exceptionally when it comes to lowering costs. Let’s dive into the details of Daikin AC units, shall we? 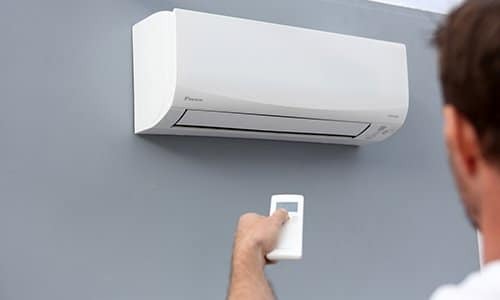 While Daikin’s air conditioners are one of the most cost effective units in the market; in terms of running, they aren’t the best choice for everyone. This is because of several factors, such as short warranty periods (unless registered), loud operation, and poor heating capabilities. However, that is not to say that these units aren’t up to the mark in terms of their build quality and cooling capacity. If cooling is your main concern, you simply can’t go wrong with Daikin air conditioners. Additionally, the manufacturer hires professional representatives that are always respectful and try to find a solution, no matter the issue at hand. As mentioned above, Daikin’s main selling point is its low unit purchase, and installation costs. Daikin stands out from its competition due to the fact that these lower costs don’t result in unreliability, and reduced durability. The unit, and its components are extremely sturdy even in the hottest of temperatures, and perform exceptionally well. However, the same cannot be said for the unit in winter. With a SEER of 24.5, and an exceptionally durable chassis, Daikin’s premium unit is the Daikin DX20VC; the brand’s pride. The lowest SEER Daikin AC is the DX13SN, offering a 14 SEER. This variation SEER opens the company up for a wide range of customers. When compared to competitors, Daikin ACs excel in terms of their low costs, but fall behind in others. Below, we have listed Daikin’s air conditioners in terms of purchase costs, installation costs (including parts and labor), and average running costs for a 2.5-ton Daikin AC. The nomenclature of these units might seem familiar to you if you have already gone through our Carrier AC brand review, and for good reason. Daikin is the sister company of Carrier. However, where Carrier focuses on (relatively) average SEER, and low noise levels of its units, Daikin takes an all-around approach. The table above indicates that Daikin’s units; despite its elite unit’s high SEER and quality build, are inexpensive. This might be a cause of concern for some as most other companies with lower costs cut corners in the production of the AC, in one way or another. Daikin is the exception to that rule, allowing its customers to not only save on their purchase, installation, and running costs, but also on repair and maintenance! If the thought of having ducts running through your whole attic, basement or even your house’s exterior doesn’t seem as attractive to you, you can always opt for Daikin’s split air conditioners. The unit costs only $990; and with 12,000 BTUs to boast, it can easily cool down your room and maintain the desired temperature. The split unit has a SEER of 17; a relatively high rating compared to its competitors, to give you that kick of efficiency you are looking for. However, its drawback is apparent, as it can only cool down one room for you, unlike central air conditioners. We have reviewed a range of mini-split systems here. Although Daikin air conditioners aren’t subjected to criticism as other brands are, in terms of installation-related complaints, they aren’t completely safe. The fact that Daikin is a Japanese company means that the installation procedure for Daikin AC may complicate itself for no reason, for the untrained hand. In order to ensure that you are placing your new unit in the best possible hands, you need to be sure of your installer’s expertise and experience. Modernize.com is like a supplier of experienced, and trustworthy contractors; not only for HVAC installation or upgrade but for a number of other services as well! Modernize sifts through thousands of applications each day, checking the references of each to make sure the applicants are competent and reliable. At any time, if the staff feels like the candidates aren’t performing up to their standards, their name is struck off the list and must apply again to get listed. This ensures that you get the best possible contractor without any hassle, and get your Daikin AC installed at a good price. Start searching for the right HVAC contractor with this form below. Daikin’s procedures, and names are notorious for being extremely complex. Not only that, when customers claim their warranties, the claim goes all the way to Japan, further confusing the customers and resulting in undue frustration. This is perhaps one of the major drawbacks associated with Daikin AC. The figure indirectly suggests the unit’s SEER or EER rating. For example, the DX20VC has a SEER rating of 24.5, but an EER rating of 15.44. Similarly, Daikin DX13SA has a SEER rating of 14 and an EER rating of 11.5. The letters at the end signify the unit’s unique features, such as its mode of communication, quiet operation, etc. Daikin’s premium unit is the Daikin DX20VC, but it is also the most expensive one. That said, its features more than make up for the high cost. Conversely, the Daikin DX13SN is easiest on the wallet, with the least number of features, and lowest efficiency. Below is a table explaining the models in more detail. Daikin AC has one the best SEER air conditioners in the market, after Lennox and Amana. However, that is only true for its top tier product, the Daikin DX20VC. It performs exceptionally well during the summers because of its extremely conductive coils, and equally efficient compressors. The high durability of the unit is equally impressive, even when comparing it to Lennox. This unit has been the silver child of the company and, has allowed it to compete with the bigger names in the market. Daikin can also boast the fact that all its models; except the Daikin DX13SA and Daikin DX13SN, are energy star rated. Additionally, a number of its central air conditioners are eligible for a tax rebate. For clarification, the SEER or the Seasonal Energy Efficiency Ratio is in effect, the measure of how efficient the unit is in terms of energy consumption. If we remove the Seasonal in SEER, we get EER, a measure of how efficient the unit is year-round. Unfortunately, Daikin air conditioners aren’t as good at heating as they are at cooling. This is because while the compressor is exceptional at exerting positive pressure on the Freon refrigerant gas, the same cannot be said when it comes to applying negative pressure on it, i.e., heating it. Due to this, Daikin ACs aren’t the best choice for you if you live in colder areas and are looking for a good heating unit, alongside cooling. According to Daikin AC customer reviews, the only complaint people have in terms of Daikin’s compressor is that it doesn’t perform well when heating. Other than that, the compressors are extremely well protected against weather, small animals and critters, thus making it much more durable and reliable. Daikin AC units have two types of compressors fitted into them; single and two-stage. While single stage compressors are very quick to cool down the room, they do so at the expense of increased energy consumption. These compressors run at high speeds to compress the refrigerant gas and maneuver it through the evaporator coils, but once the desired temperature is achieved, they turn off completely. There is an energy spike when the compressor starts again; consuming more energy. Two-stage or variable speed compressors are much more energy efficient, but are somewhat slow to cool the room down. These compressors can make minute adjustments to their speed to achieve, and maintain the temperature of the room. Condenser fans are responsible for keeping the compressor cool during its function. This means the fan only runs when the condenser is running. It also has the duty of pushing the air through the coil, and out your vents. These fans usually reflect the type of compressor installed. As mentioned earlier, Daikin air conditioners lack in terms of their performance during heating seasons. This is primarily because of their compressor’s inability to work as an efficient heat pump. This becomes extremely frustrating for customers in colder climates, as even when Daikin Air conditioners are running at full capacity, they take quite a while to heat the house up. Even then, the heating is adequate, when compared to other HVAC units. Daikin air conditioners perform poorly in terms of its noise performance, even under optimum conditions. The lack of any insulating material around the compressors of Daikin AC units means that any internal vibration travels all the way to the surface; producing noise. For this purpose, working or staying around the external unit for long durations can become uncomfortable. Daikin’s quietest unit is the Daikin DX16TV, performing normal operations at 69 decibels, and going as loud as 80 decibels under stress! Daikin AC warranties are by far the worse aspect of this brand. While some competitors offer warranties ranging from 10 years to a lifetime; on parts as well as compressors, (Lennox and Goodman respectively), Daikin only offers a short 6-year warranty on compressors and parts, if you forget to register your purchase within 60 days. If you register it, the warranty periods become somewhat acceptable with 12 years for parts, and 10 years for compressors. Keep in mind that Daikin offers no warranty on damage sustained by the product during installation, so make sure you hire professional, and certified contractors like the ones found on Modernize. 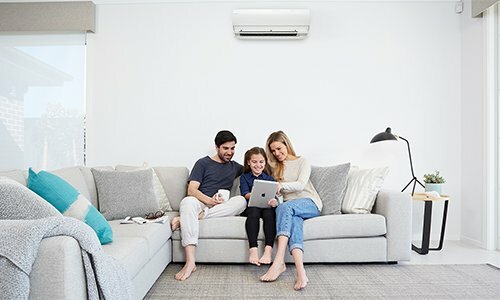 Daikin’s air conditioners; with SEER 16 or above, are all eligible for tax rebates, thanks to legislation passed in 2018. The legislation allows a rebate on the purchase of all high-efficiency equipment of 10% of the cost, up to a maximum of $300! This tax rebate further reduces the overall cost of Daikin air conditioners, providing customers with some monetary relief. This means that Daikin’s DX20VC, DX18TC, DX16TV, and DX16SA are all eligible for said tax rebate, as they are all 16 SEER and above. Despite the high SEER rating, durable chassis, and equally reliable parts and compressor, Daikin has only a small portion of the market share. This means that while people buy Daikin ACs, most tend to avoid them. Daikin is a diverse company with a number of business divisions, and products, other than air conditioners. This includes chemicals, filtration systems, defence systems, oil hydraulics, and more. Following is a list of pros and cons of Daikin AC units that may have an impact on whether the unit suits you or not. Daikin is a good all-rounder that gives you the best bang for your buck, in both, the short and long run. However, as with any HVAC unit, there are some drawbacks associated to Daikin as well. Above was a comprehensive analysis of all the aspects associated with Daikin’s air conditioning units, and compiling that information leads us to the conclusion that its units are better suited for hotter regions than for colder ones. Daikin offers good customer support, but customers may get frustrated due to the language barrier. However, most good installers can help you get over this frustration by calling the manufacturer themselves. To hire contractors that know their way around Daikin air conditioners simply fill in the form below.